Property owners often use paint to update, refresh, or restyle the interior or exterior of their home or business. If you have recently completed a paint project, and you are wondering what to do with the leftover paint, then we have some ideas for you described below. Disposing of leftover paint can be a tricky activity, but it is important to dispose of it properly. 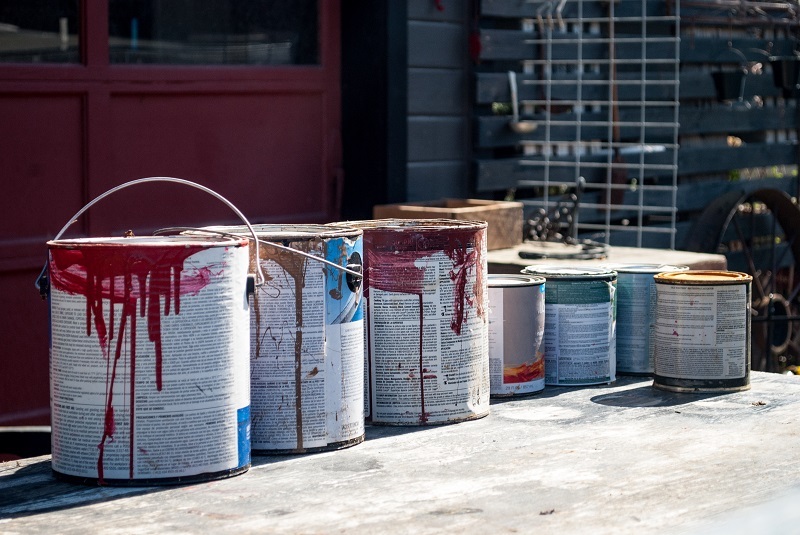 Paint can be considered hazardous to the environment, so it should not just be thrown out with your regular trash, without providing some proper preparation first. One trick that prepares leftover paint for proper disposal, is to dry it out completely and then throw it away in the trash. If you have just a little bit of paint left in the paint can, then sitting it out in the sun and allowing it to dry up completely should be sufficient. Once the paint is dry and solid, then it can be thrown away. If you have more than just a little bit of paint, then pour the paint into a box of kitty litter or shredded newspaper. These substances will soak up the paint and will solidify over time. Once the paint is solid and dry, then throwing it away is fine. Additionally, most paint stores or home improvement stores sell paint hardening products that can be purchased for the purpose of drying out leftover paint. No matter what path you take to ensure that your paint is dried out, just remember that it is a necessary step to complete before tossing a paint can into the trash. Another way that you may consider disposing of leftover paint, is to donate it to a local charity, school, neighbor, theater, or someplace else that can use it. With just a phone call or two, chances are that you can find a place that can use the paint for their own specific paint purposes. Lastly, you may wish to contact the local hazardous waste drop-off facility and see if they can take your leftover paint. They may have special requirements for paint, and they can inform you of them, once you contact them directly. If you are having issues properly disposing of your leftover paint, contact us at Noel Painting.